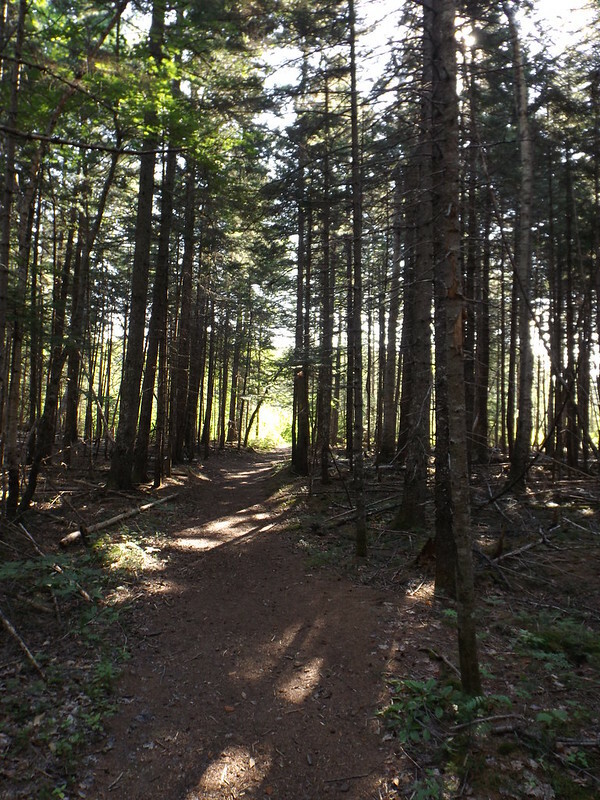 Another weekend, some more new trail trod. This has become my mantra as of late, and seeing as it was supposed to be hazy, hot and humid I once again did not feel like tackling anything overambitious. So my default is to go into redline mode, and seeing as the Eastern reaches of the Whites are where I have the most left to do I decided to head out that way again. 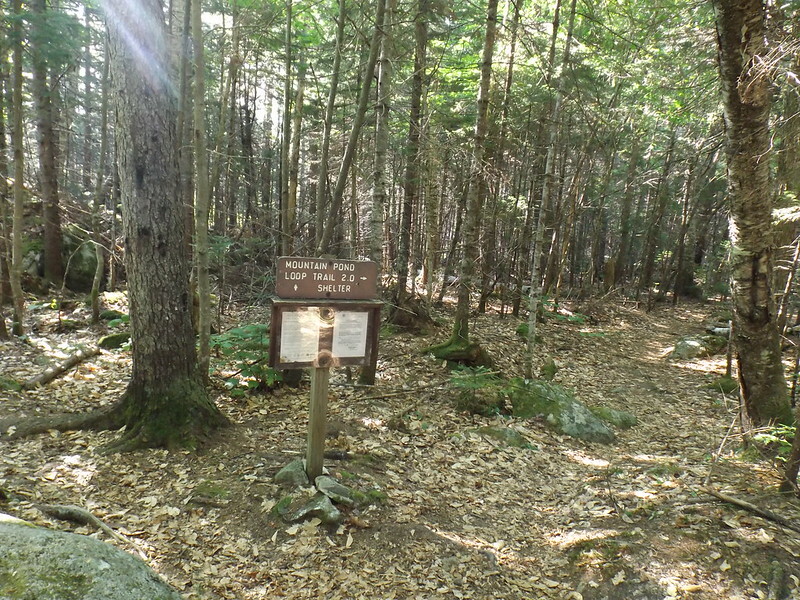 This time I decided to tackle the oddly named Mountain Pond loop (it is on no mountain, nor next to one in any real sense of the word). The guidebook tempted with shoreline views, and indeed it provided just such. Slippery Brook road is very narrow and two cars have to pull far to the side to pass each other. 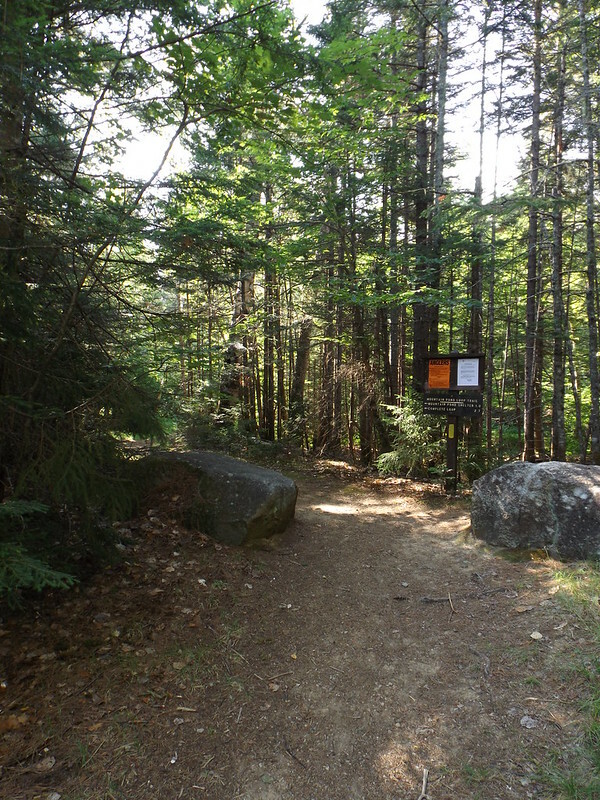 Thankfully the Mountain Pond loop has a decent sized lot off of the road to park at. 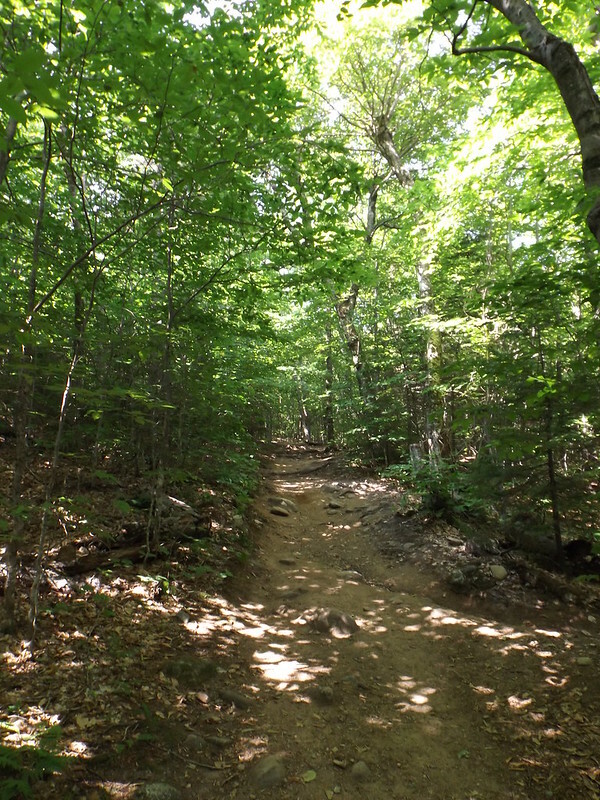 The trail offers virtually zero elevation gain. The start of it is a very well graded footbed leading to the split for the loop. I decided to do the loop clockwise, which is the shortest way into the Mountain Pond shelter. Almost as soon as you turn on to the loop you see occasional herd paths leading to the shore. Thus the first shoreside views. 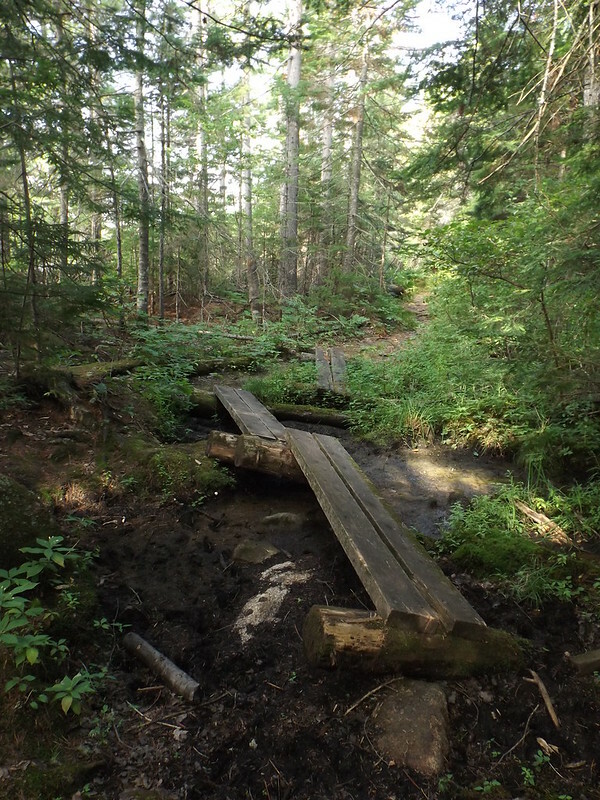 Once past the junction for the loop the trail also takes on a more rough and tumble demeanor, and occasionally bog bridges cover wet and muddy spots. I was enjoying things up to this point, but then something happened to make me appreciate this spot all the more. As I was crossing the bog bridges I was hit with a loud, haunting wail, followed by a second a bit further along. It was the mesmerizing call of loons! They would serenade me as I made my way around the pond, stopping at every chance to get some shore views. About a mile in from the junction you reach the shelter, which is in very nice condition. Knowing there are loons here I would almost be tempted to spend a night just to hear loons song echo across the water as the sun fades for the night. These wonky bridges made for a great photo, but were not so fun to cross considering their precarious positioning and the fact that the last one moves as you walk across it! The Doubleheads make their first appearance. And to compliment the Doubleheads the Baldfaces start to creep into the shot. Almost done with the shore views we finally get the Baldfaces front and center. And a family photo. Doubleheads left, Baldfaces right. The last few tenths of a mile the trail leaves the shoreline. As I was approaching the junction for the loop again the loons bellowed a final parting to me, which thrilled me to no end. I finished out the loop, turned back to the lot and returned to my car. 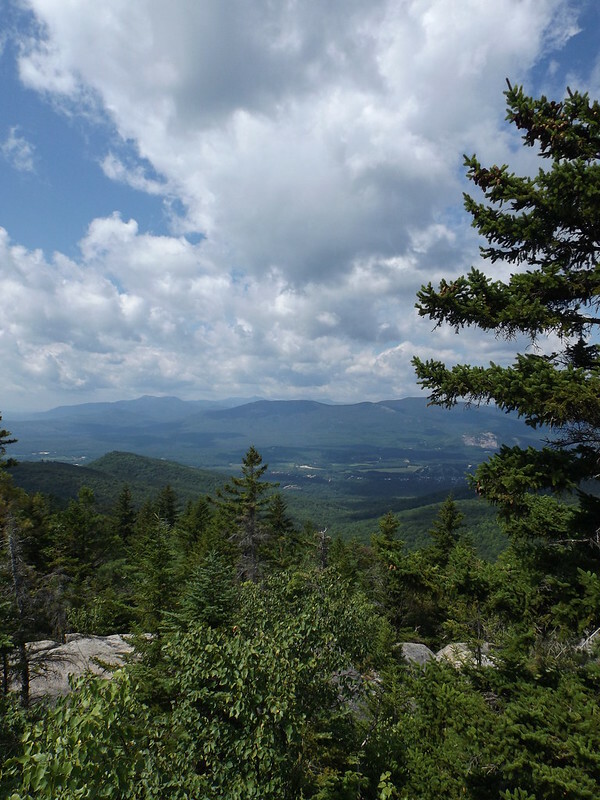 By now it was getting a tad warm, but I had already planned on heading over to Hurricane Mountain road to do at least Black Cap and Cranmore, and possibly see if I wanted to push it to more trails from that area. 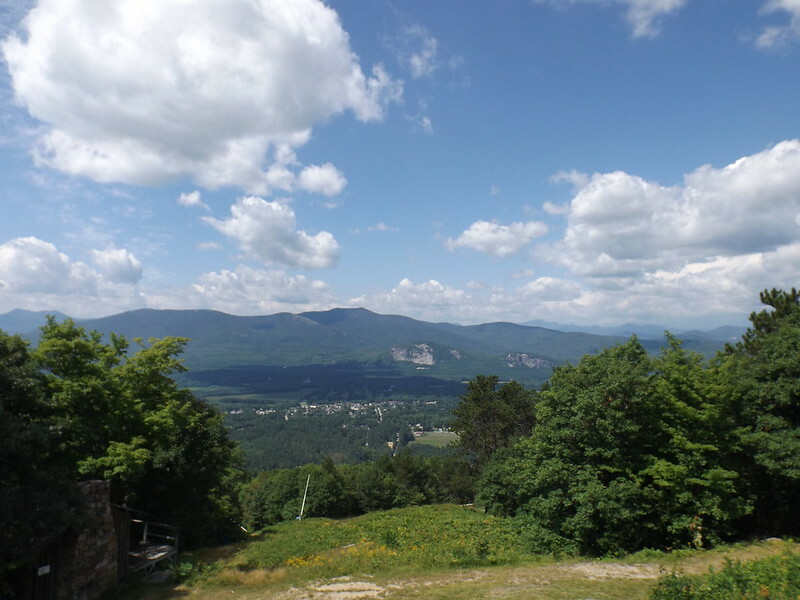 So I braved turning left on 302 and headed back into North Conway and up Hurricane Mountain road. I got to the parking lot for Black Cap and found what I expected....a mass of cars and tourist hikers. I got my pack on and was greeted with the sight of two guys and two girls, all dressed as if on a shopping trip to the mall, carrying absolutely nothing but a Pricerite plastic shopping bag. I s**t you not. The trail starts at the back of the now packed lot. Most of the way to Black Cap it is loose and gravelly. First junction is the one leading to Cranmore. I decided to do Black Cap first then go out to Cranmore. 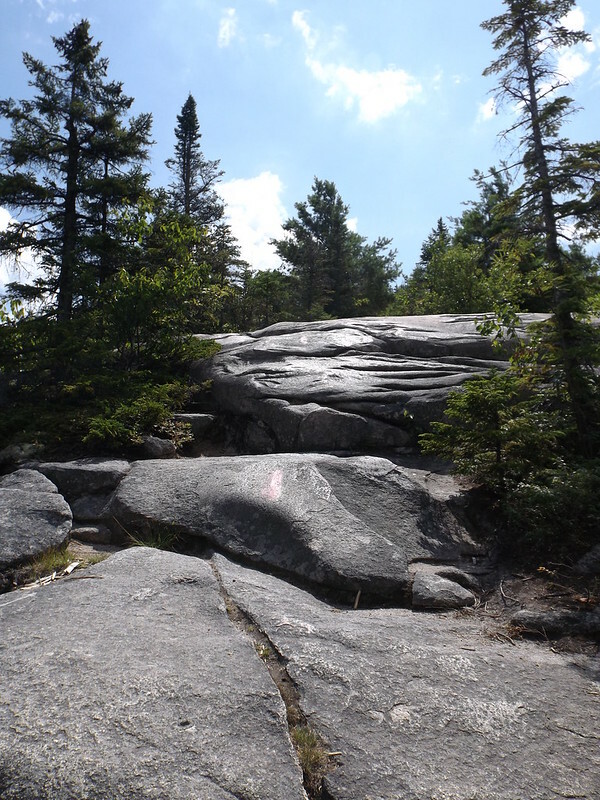 As you near the top the trail starts climbing ledges. 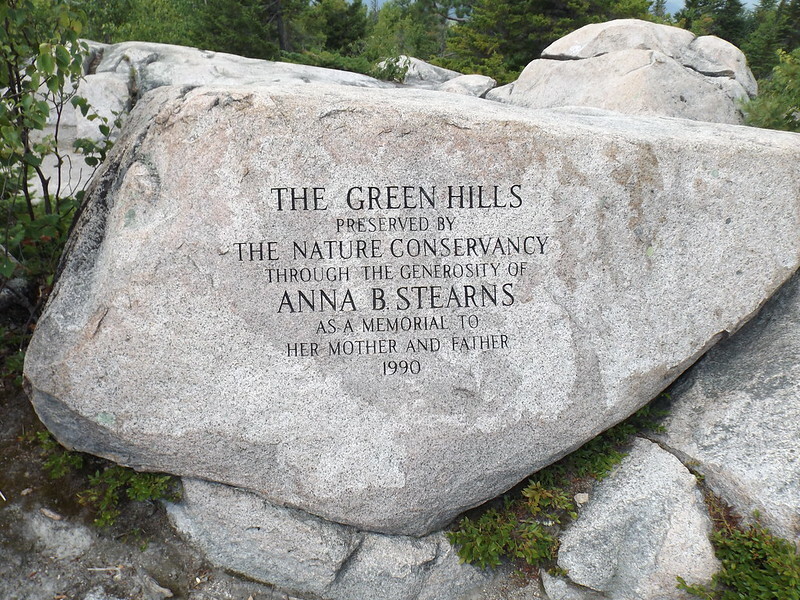 Near the summit is this engraved boulder. And of course what makes Black Cap so popular is the ledge views. With that done it was time to return to the junction for the spur out to Cranmore. I fought the crowds across the ledges and made my way back. 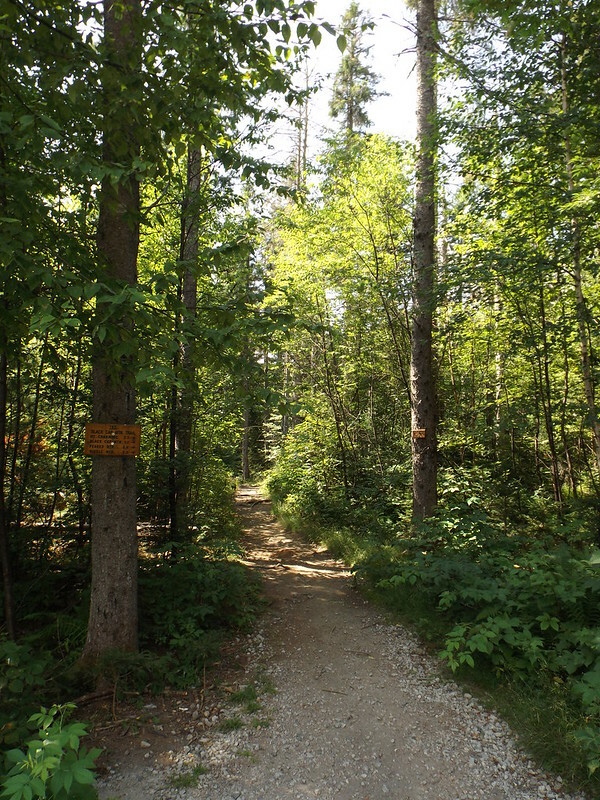 The trail out to Cranmore is a super gentle grade, well graded, and despite the heat and humidity it felt rather pleasant with a gentle breeze to push me along. A couple skit trails come in at various points, but everything is well signed. I actually think this would be great in fall since it is almost all hardwood along this ridge, and the colors popping would be awesome. 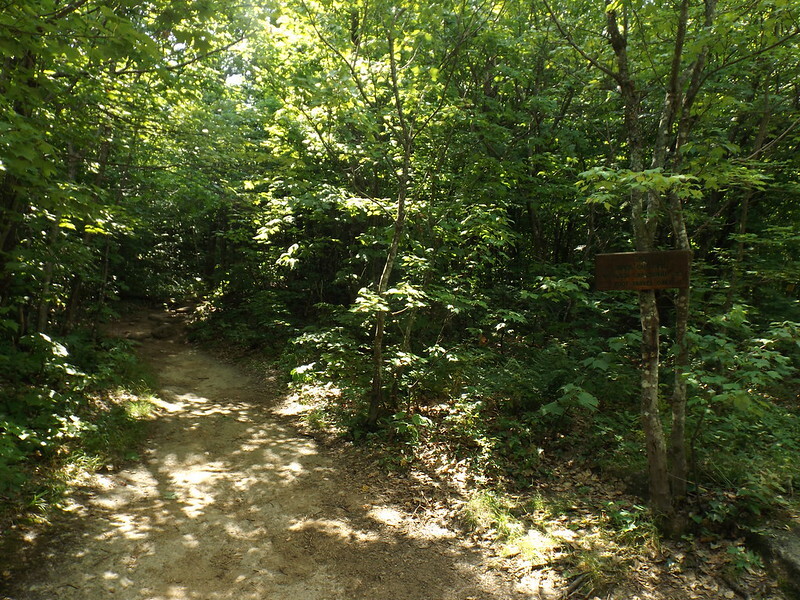 The trail dumps you out near the summit on the dirt access road. I wasn't too happy to be greeted with a Frankenpine. 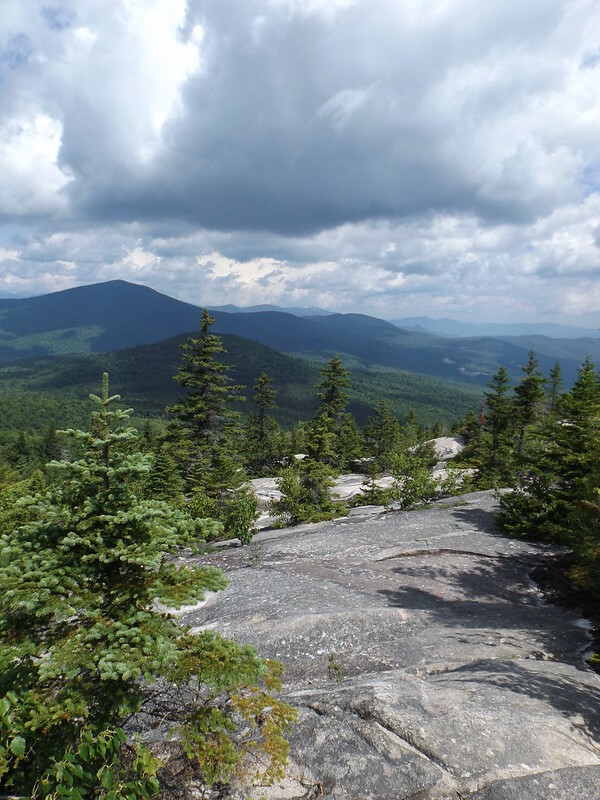 The views from various points on the summit are OK. Not awesome like Black Cap, but I wasn't necessarily disappointed. 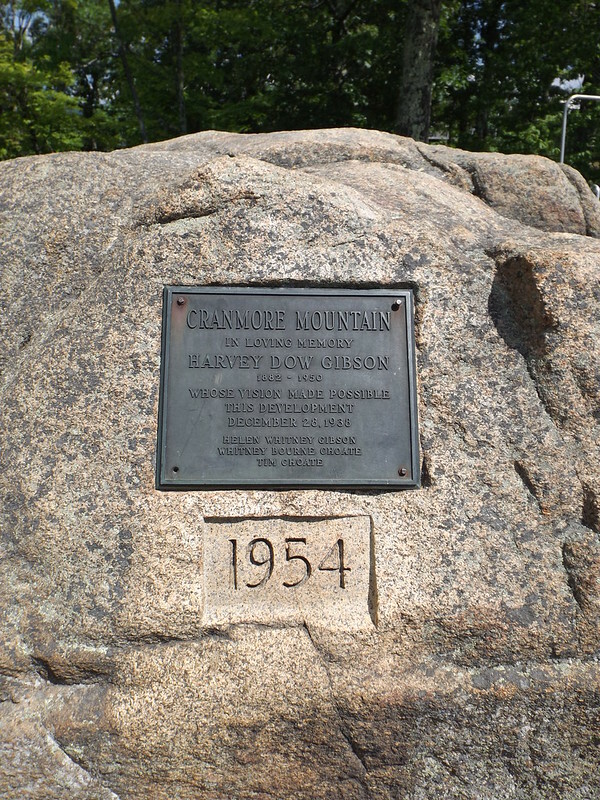 And on the summit was this rock. 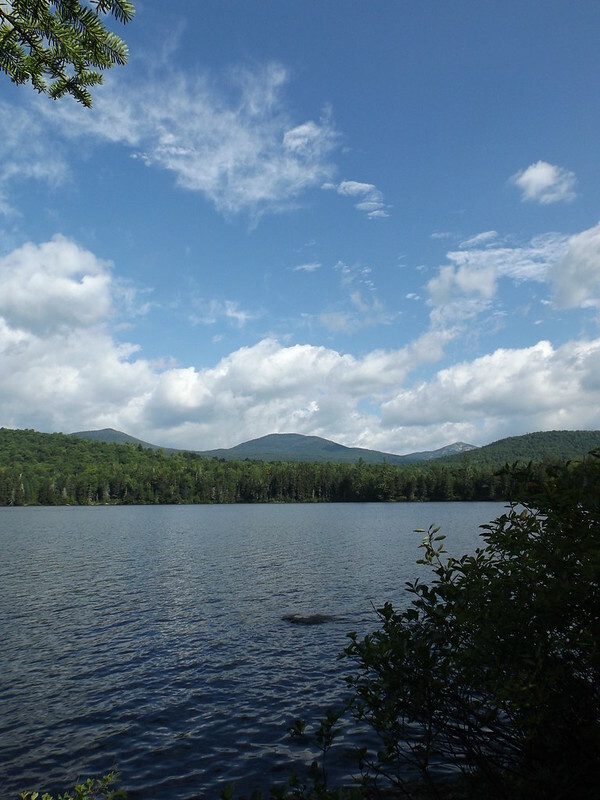 To sum up, Mountain Pond was a delightful and easy 2.7 mile trip. I expect no one is going to do this loop alone, so you would probably plan on lumping it with other local hikes. 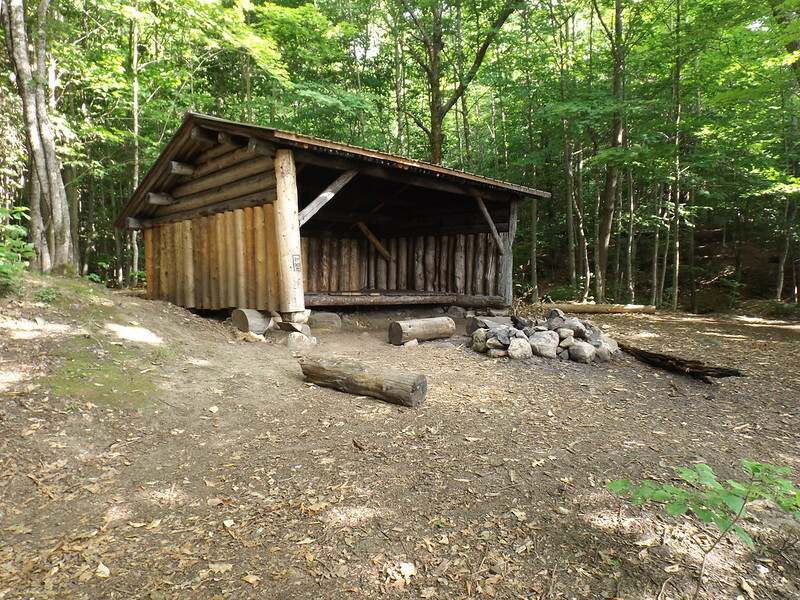 The shelter would make a nice place to stay overnight, but being easy access you would be going for the sake of camping and not really to use for peakbagging purposes (and a note: it looks like despite the easy access this gem does not see heavy use). Of course, if you are a fisherman this pond is listed as being a trout pond. So bonus there. 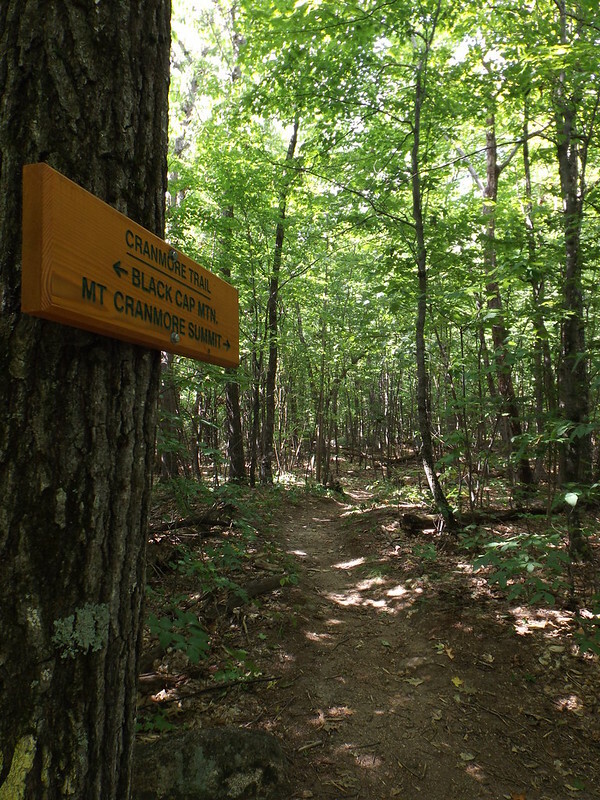 As for Black Cap and Cranmore, they are a decent little hike, but maybe not for you if you despise large crowds (unless you pick the proper day to do it.) 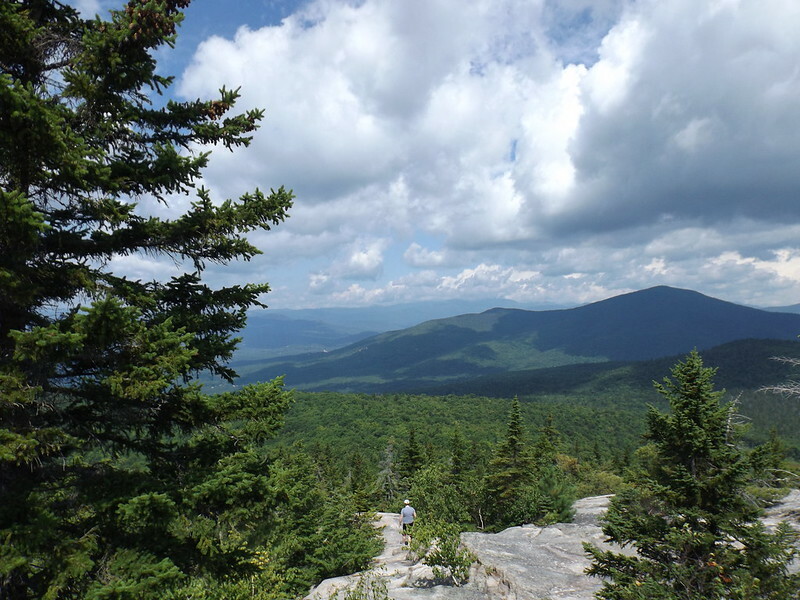 Still, I would suggest any of these hikes. 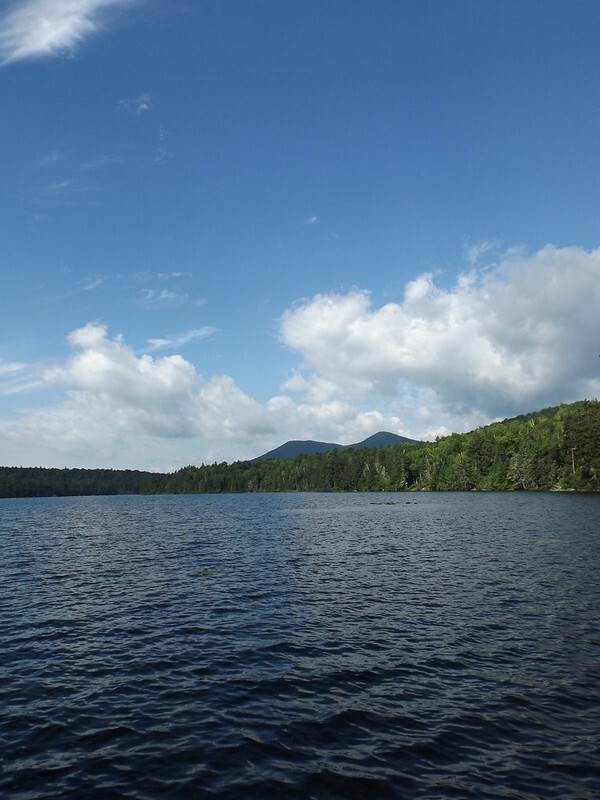 The joy of redlining for me has become finding all kinds of gems, like Mountain Pond, as well as the popular and well known ones like Black Cap. When I look at the trail map now my first thought is to wonder "why did someone want a trail here? I have to know now." Sometimes the answer is not so clear. But the times it is clear I am all the more happy for it. Last edited by New Hampshire on Sun Aug 07, 2016 7:05 pm, edited 1 time in total. That's a great 2-fer.  Your pics from Mountain Pond are almost exactly the same as mine. All except for the loon. Just as elusive as the bald eagle for me. That's because you didn't hike via the ski trails in autumn. 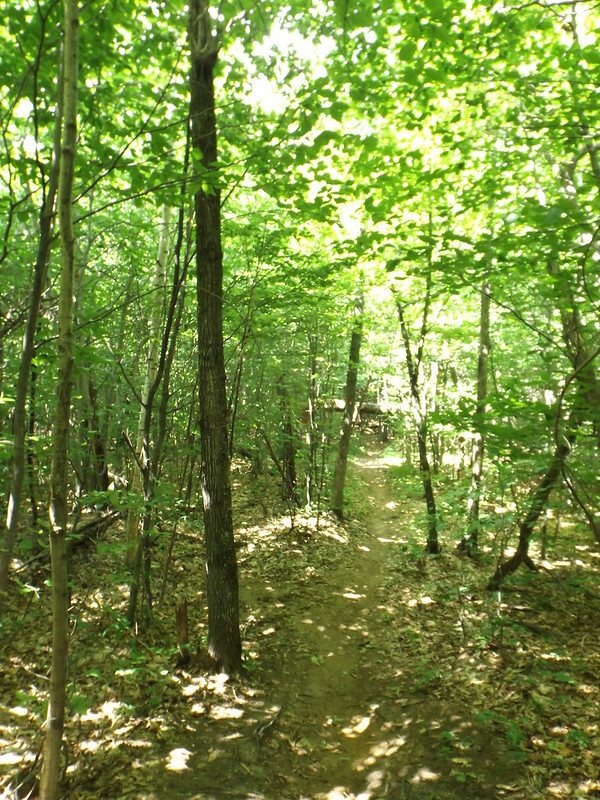 Yeah, I have pretty much decided that when it comes time to finish out the trails there it will be in fall foliage. 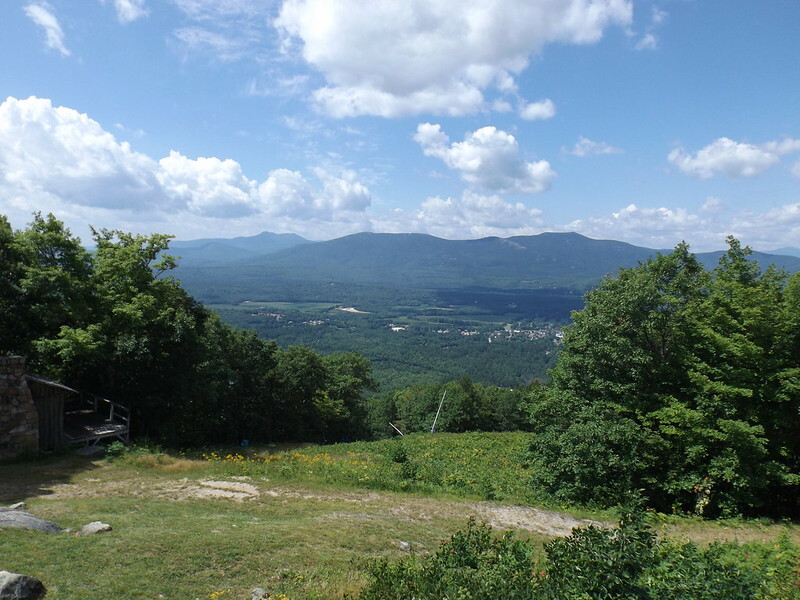 There is still a bunch to do out there including Middle Mountain. The colors will make it all the better! 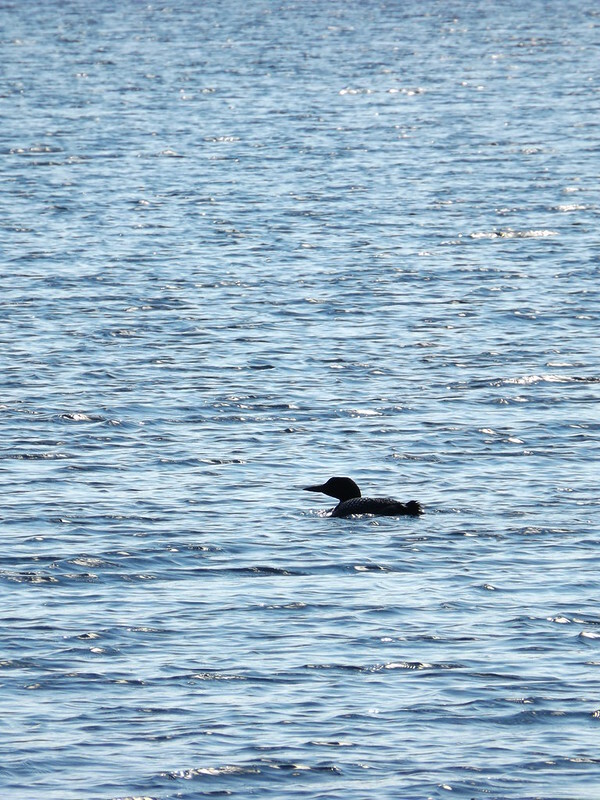 And the funny thing about the loons was that I had to use superzoom. So that means they were quite a ways away. 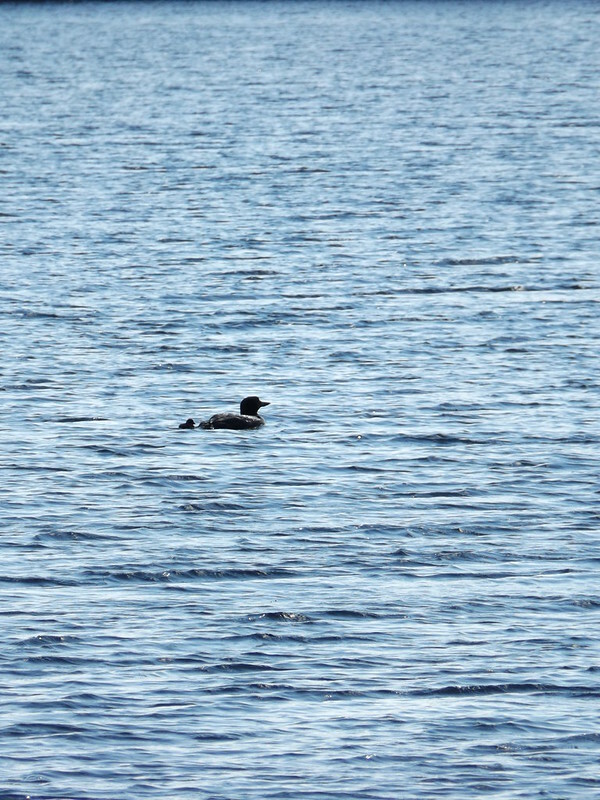 Thus I did not notice that I actually got a baby loon in the picture until reviewing them for this report! 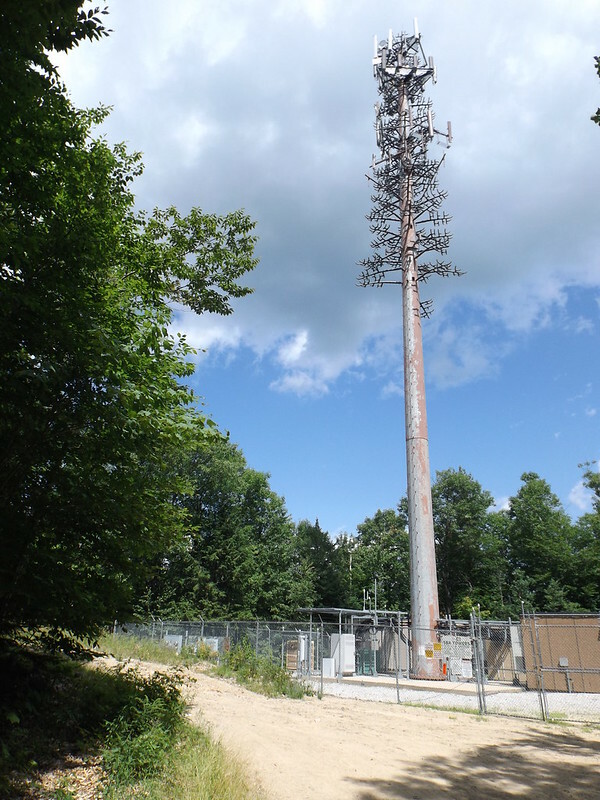 Great report, I've been wanting to go to Mountain Pond, nice to see what it is. Bring binoculars to enjoy some loon spotting and you should be all set! I'm surprised you hadn't been up Black Cap yet. Also, I love it when a trip report makes me actually have to dig out the maps to find where it is. Usually I know at least the general area, but Mountain Pond did just that. 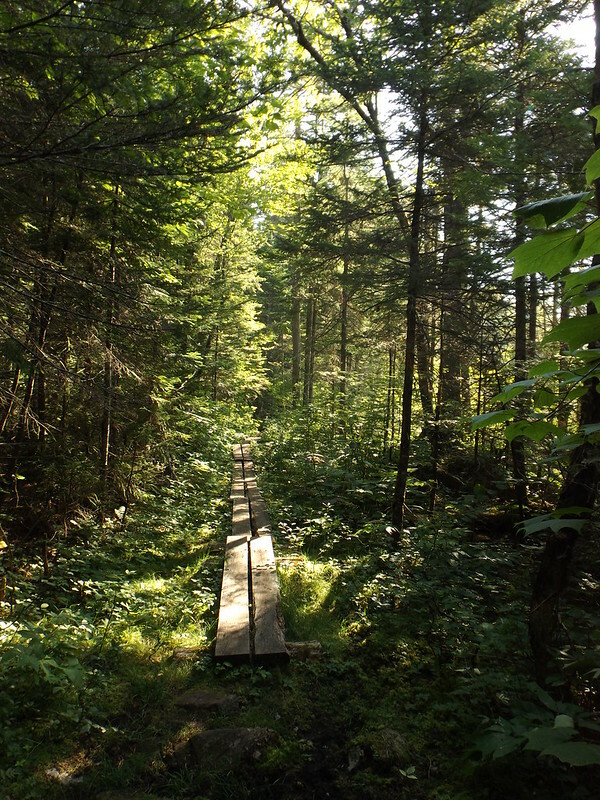 Looks like it could make a perfect introductory backpacking trip for the kiddos. Hmmmm.... And there isn't much as nice as being sung to sleep at night by the loons while camping. We are up at Winnipesaukee for the week and the loons on the bay have been there every night. Pretty awesome to hear the ancient and primordial sounds echo across the water. If you can get the waterfront sites at White Lake that is an easy and reliable way to get it also. I actually have a relaxation CD called Loon Summer that we used to put on at night and now we play for the kids at bedtime. Easy music with lots of loon/nature sounds mixed in. That's the easiest way to get it! I'm surprised you hadn't been up Black Cap yet. Yeah I am an oddball sometimes. You take obvious peaks that you figure I should have climbed early on and find it took my a long time to get around to them. I had heard about Black Cap for years, but for some reason only now got to it. This is probably why it took me 8 or 9 years to finish the 52WAV. And there isn't much as nice as being sung to sleep at night by the loons while camping. We are up at Winnipesaukee for the week and the loons on the bay have been there every night. Pretty awesome to hear the ancient and primordial sounds echo across the water. If you can get the waterfront sites at White Lake that is an easy and reliable way to get it also. I actually have a relaxation CD called Loon Summer that we used to put on at night and now we play for the kids at bedtime. Easy music with lots of loon/nature sounds mixed in. That's the easiest way to get it! I still chuckle when I think about the time Greg and I camped up in Pittsburg at campground right on the Third Connecticut lake. The next morning when we were talking he said "Yeah some bird down on the lake was calling all night." I said "Bird? You mean the loon that was calling all night?" Great T.R. makes me want to go camp there just to hear the loons. This has been on my bucket list forever, but it's too damn far to drive for me with the whole Meredith and Conway backups. Someday thougj.... gorgeous pics, looks like a fun loop. 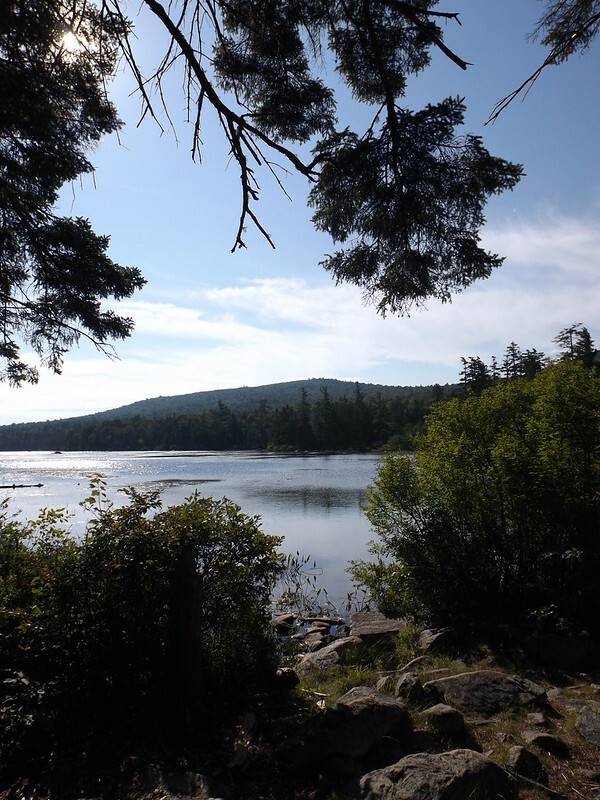 Mountain Pond is an old friend we met through "Hiking New Hampshire" by Larry Petchler. We've been there at least three times. When you first go in, there are a lot of established areas where you could put a tent, but they're pretty close to the water. The first time we went there, we stayed in the shelter. On the way back to the car, a moose walked right in front of Prema. And then it started to rain. The rain got heavier and when we drove off from that parking lot, we heard that George Bush had just ordered the entire city of New Orleans to get the h out. Another time we went there for the Perseids Meteor Shower. Great watching the shooting stars over the pond. GG - this would be great for your kids. It would not be a hard trek to the shelter, and the shelter still looks good in the photo. We liked it. Damn Irene, keeping everyone out for a couple years !